Imagine there’s a vacancy in your company. You devise a killer job ad, post it to social media, and send out an email to all employees in search of referrals. You’ve done a terrific job making the position look attractive, and have heavily advertised it through paid mediums. You kick back and expect a flood of CVs to appear in your inbox the next time you hit “refresh.” You click. Nothing appears. You click two days later. Still, nothing is there. This was definitely not what you were expecting. When searching for good talent, sometimes posting a vacancy on social media or relying on referrals is not enough. With payroll and human resources being the top business expense for most organizations, it is important to start prioritizing from here and work your way up. This article explains seven reasons why you should invest in a career portal solution for a smoother, smarter, and easier recruitment experience that can iron out this painful sore point for your company. When a job seeker is a looking to explore an opportunity at your company, the first place they will look to get more information is your official careers website. They aren’t just looking for a job listing though. They want to know you as an employer. They want to understand the work culture, the workplace, career growth opportunities, the benefits you offer and the kind of products/services you’re working on. Without a stellar career website that is inviting and welcoming, you’ll see a lot of candidates taking a pass on even applying. We’ve often been advised to “dress for the job we want,” because we’re more likely to achieve what we prepare for. This applies to hiring quality talent as well. A good Applicant Tracking System (ATS) provider will develop a custom career portal as a seamless extension of your existing website. Instead of plainly listing vacant jobs, a branded career portal resonates corporate values, shows a narrative that reflects the organization’s culture, and serves as an answer to why job-seekers should apply to the organization. With this positive association in place, the chances of getting good talent to apply for vacancies skyrocket, and your organization stands to become known as a place where people actively want to pursue a career. This ultimately leads to more diverse applications and a wider talent pool for you to choose from. Companies commonly use multiple means to source good candidates when filling a job vacancy. As a result, they receive CVs from recruiters, from candidates directly, as well as from colleagues offering referrals. Disparate CV sources can make organization challenging, and it becomes easy to lose a good candidate in the clutter. With an ATS, all applications are stored in one place. These applications can be tagged, bookmarked, shared and stored in neat folders for quick review and even quicker access. This consolidation keeps talent sourcing transparent and ensures that you keep close track of relevant profiles. The platform allows a quick overview of the applicants across the hiring funnel, and enables users to drill-down on roadblocks for swift resolution. Many solutions offer mobile functionality which further eases communication between candidates, recruiters and line managers when they are on the go. Both these features help drastically shrink the hiring cycle and reduce your company’s time to hire. A career portal solution can help you avoid needless back and forth in sharing requirements, tracking referred CVs and understanding their performance. The centralized system also reduces costs by eliminating data redundancy and inconsistency across hiring processes. 73% of employers say that a bad hire costs more than keeping the position vacant. Therefore, you will benefit by identifying better job-fits using standardized processes to choose applicants, rather than filling positions in haste, which also brings us to the next point. A good career portal solution enhances the candidate’s experience, which increases conversions. Since a sophisticated solution captures applicant information in a well-structured manner, searching for relevant profiles becomes easy. Robust search filters can conveniently be used to reach a candidate with your required years of work experience, educational background or target industry, since the portal captures these details during profile creation. Advanced searches incorporating complex search queries and keyword searches further help narrow down relevant candidates, which becomes crucial when databases become large. Some providers also offer auto-screening, which screens-out irrelevant profiles even before they reach your inbox. Recruiters can set different criteria as screen-out filters that are used by the portal to automatically siphon off irrelevant CVs to a separate folder to keep your talent pool clutter-free. An ATS allows HR to tag CVs with labels to keep track of them. 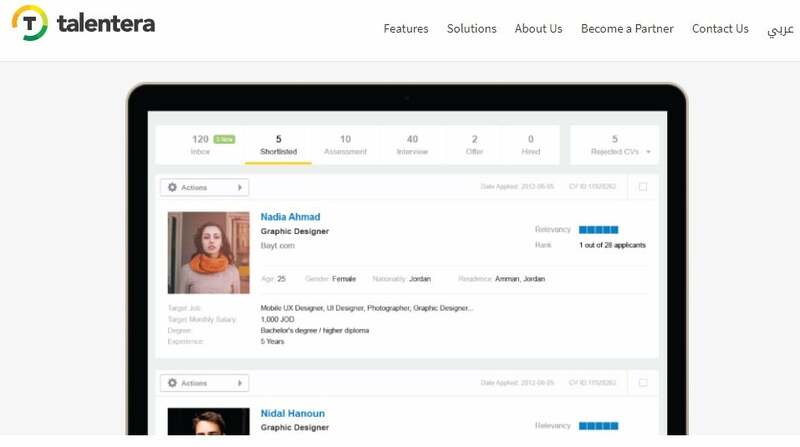 They can also record detailed notes against profiles, which develops a knowledge repository where each user gets the same view of the candidate upon viewing the profile. Rather than switching tabs between the ATS and a mail window, top service providers allow recruiters to communicate with candidates via email directly from the application interface saving time and effort. This feature is especially helpful when forwarding the candidate to the next evaluator or simply when the HR manager or recruiter has to delegate their tasks to someone else. 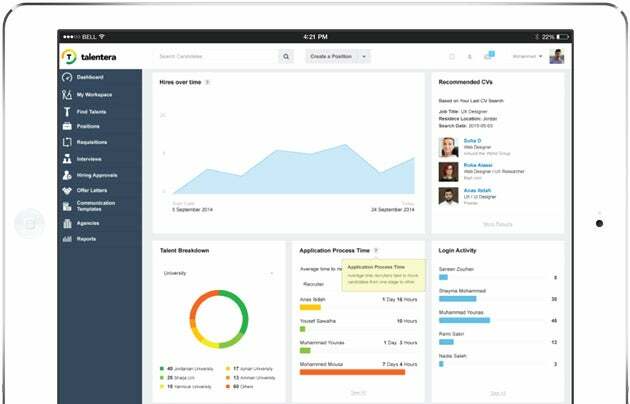 Enables users to assign tasks like reviewing a CV, interviewing a candidate, verifying budget, etc. This makes it easy to maintain track of your tasks, keeps the process transparent and the responsibilities clearly defined. There are relatively few opportunities to gain insight into the candidate’s personality and ability prior to the interview. However, automated tests can serve this purpose well. You can choose from a list of different psychometric, behavioral and technical tests to gauge the strengths and weaknesses of your candidates before interviewing them. Most solutions allow automated scoring of the tests, which keeps the results objective. This quantitative scoring also enables recruiters to rank candidates on their test performance, which makes comparison easier. You can also create or use templated evaluation forms for internal assessment of candidates. This further helps in keeping all information in one place, giving the HR manager a clear view of everyone’s feedback over every candidate. Most solutions offer complete transparency over actions performed on the portal. Activities performed by users are stored in activity logs, which makes it easy to keep track of both applicants’ progress along with the team’s efficiency. 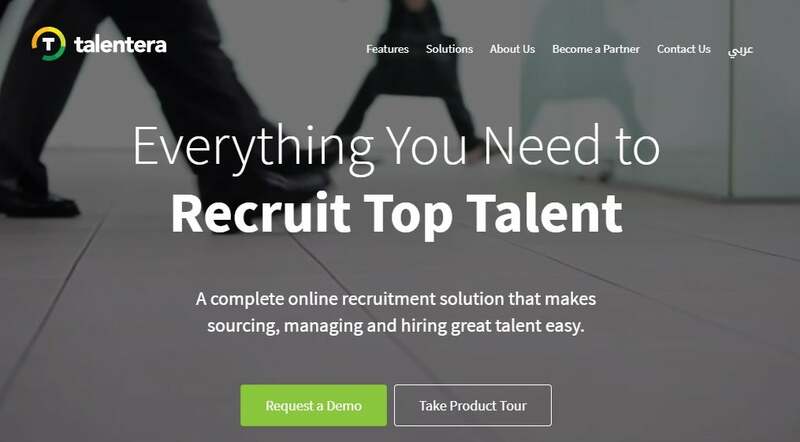 This transparency also helps quickly identify bottlenecks in the hiring process. It enables managers to check whether a recruiter or line manager has been stalling a candidate’s interview or has been lazy in processing their information. Additionally, reports like a CV source breakdown help HR managers understand the strengths and weaknesses of their captured talent pool, while those on an applicantstage breakdown help identify how close the company is to closing the position. These reports help executive leadership make informed decisions regarding the kind of talent they want to attract, whether their hiring process needs alterations and most importantly, whether a career portal solution was a worthy investment after all. It is quite clear that a good career portal solution adds more than just a tab on your website. People, being the backbone of the company, mandate that adopting a career portal solution be kept as the number one priority regardless of the size or age of the company. However, it is important to choose a configurable solution that can grow as your company grows to adapt to your changing requirements.